All Biral products are designed to provide years of fault free service with minimal maintenance however, faults and problems do arise and that is where our Service Department comes to your assistance. We offer unlimited free technical support by telephone or email for the life of our products regardless of ownership. 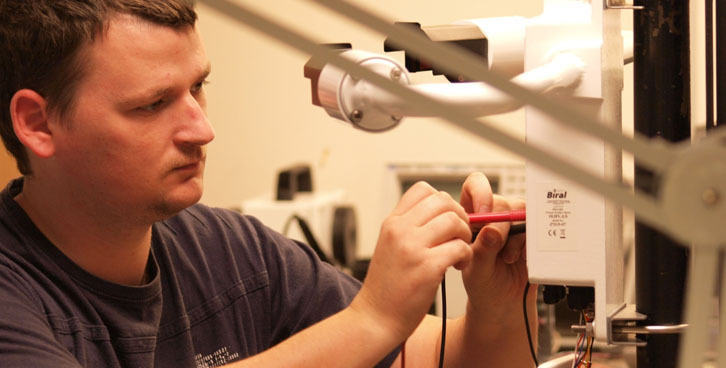 Our Service staff, backed up by the Product Development Engineers are there to answer technical queries ranging from help with installation to the interpretation of data. If your sensor has developed a fault or you need help with installation please use the Technical Support Form page for details of telephone and email support. When the problem cannot be solved in the field Biral provides a return to base service and repair facility. We appreciate that every application is different and can present questions that are new to our customers; for this reason our Meteorological Products Manager and our team of Product Development Engineers are available to discuss any technical questions you may have with your equipment or application. Our Frequently Asked Questions pages cover some of the more common issues that arise, however if you can’t find the information you require please contact us using the information given on the Application Support Form page.